Archaeologist and historian Dr. Eve MacDonald gives us some background knowledge and historical context for Hannibal’s mythical journey through the Alps. Hannibal in the Alps Premieres Tuesday, April 10 at 8/7c on PBS (check local listings). 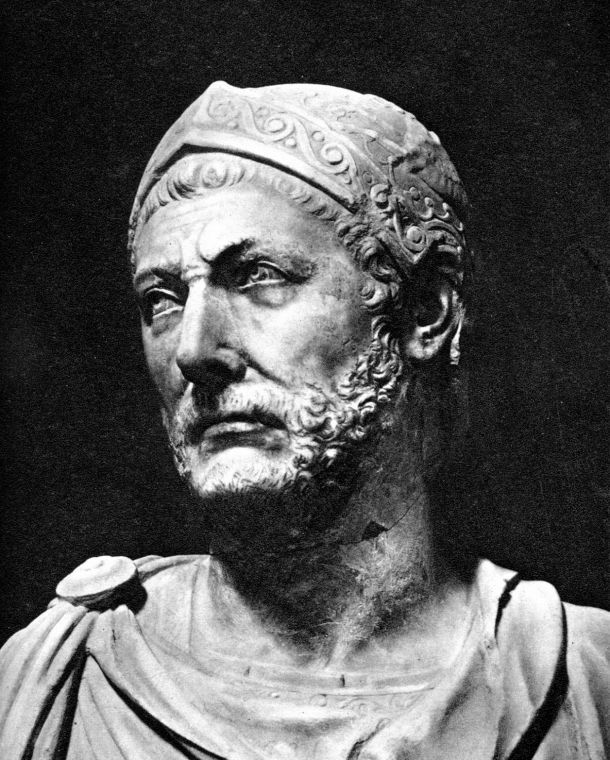 Hannibal, the most famous of all Carthaginians, only lived a few years of his life in the city of Carthage. He was only nine years old in c. 238 BCE, just after the Carthaginians had been defeated in the First Punic War, when he and his two younger brothers set off with their father Hamilcar on an expedition to Iberia (modern day Spain and Portugal). So it was in Spain that Hannibal grew up. There is a famous story about his departure, that before he left Carthage his father made him swear a sacred oath to always be an enemy of Rome. He would only be allowed to go to Spain if he would make that vow. Polybius reported this tale that Hannibal supposedly told about his youth and it captured people’s imagination over the centuries. It is also a story that lets the Romans blame Carthage for the war, so we should take it with a pinch of salt. Having taken his oath, Hannibal and his younger brothers, Hasdrubal and Mago, travelled with their father and grew up in Spain. Hannibal also had three sisters but such is this tale of men and war that we don’t even know the names of the females of his family. Hannibal educated by tutors. They taught him Greek – the language of the wider Mediterranean – and history, philosophy and the arts of war. He lived and fought and learned alongside his father until he was put in charge of the Carthaginians army and governed the territory of Spain for Carthage in 221BC – he was 25 years old. From 238 to 221 BCE the Carthaginians had conquered a great deal of territory. Why did they go to Spain? After the First Punic War Carthage had lost its allied territory in Sicily and Sardinia to the Romans. Like the Romans at the time, the Carthaginians were, looking to expand their sphere of power. The coastal regions of the Iberian Peninsula had been settled by the Phoenicians centuries earlier. The people were culturally and linguistically linked to Carthage and were by-and-large a friendly people. Inland, the Iberian peoples who lived along the Guadalquivir River controlled some of the most important silver mines, iron ore deposits and mineral wealth in the Mediterranean basin. The coins minted by the Carthaginians from this period show what quality and quantity of wealth was available to them. One of the best-known coins of Hannibal’s time has one of the most famous images from Carthaginian Spain. It is known as a tri-shekel, a triple shekel, because the Carthaginian monetary unit was based on the shekel standard. The face on the coin is that of the Carthaginian god Melqart who was equated across the Mediterranean to the Greek hero Hercules (Herakles). You can see this by the club he carries on his shoulder. Melqart was the patron god of Hannibal’s family, the Barcids. He protected them and so the image on the coin was meant to symbolize the Barcid family and also their connection to Melqart. This is when the legend of Hannibal begins, and where the stories of his amazing exploits get told and passed on from generation to generation. 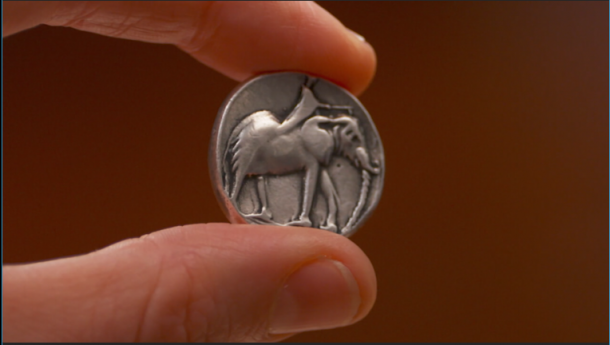 The reverse of the coin has the iconic image of the war elephant (discussed in detail in the program by Dr. Tori Herridge). By the time Hannibal returned to lead the Carthaginian army in Spain, another war with Rome was brewing. The Romans were busy expanding their influence out of Italy to the north and west into Gaul while the Carthaginians were expanding northwards in Spain. The two powers were wary of each other and they sent ambassadors back and forth. The way the Romans tell the story, Hannibal was itching for war and that his father (who had died in 229 BC) had instilled a great hatred of Rome in his sons. This is the story the Romans told after the war; it is the Roman version of blaming the Carthaginians entirely for the war. Determining the real cause of the war is very difficult because the Carthaginian view has been totally erased. I think that it is worth remembering that beautiful coin and the great wealth of the silver mines. These were an important part of the story as recent research indicates Romans were drawn to take Spain for the same reasons as the Carthaginians – the resource wealth. The Second Punic War started over the city of Saguntum – which Hannibal laid siege to and took in 219BCE. Saguntum claimed alliance with the Romans (even though it had been clearly expressed in a treaty six years earlier that it was within the agreed sphere of Carthaginian territory) but nevertheless the two sides were again face-to-face. Early in 218BCE the Romans declared war on Carthage – envoys from Rome had stood in the senate at Carthage and demanded they recall Hannibal from Spain. They were basically demanding that Carthage give up their Spanish territories to Rome. When Carthage declined, Rome declared war. Hannibal knew that the Romans planned a two-pronged attack, a Roman army was being sent towards Spain and another was poised to invade Carthage. Hannibal understood that if he stayed in Spain and waited for the Romans to invade he had no chance of winning. By staying in Spain he would leave Carthage exposed. So Hannibal attempts to shift the paradigm of the war and to ensure that the war would not be fought on Rome’s terms. He packed up his forces and left New Carthage (the Carthaginian capital in Spain, modern day Cartagena) with his army, cavalry and elephants on his long march. We believe he left in late May or June, in time for the first harvest in the Mediterranean so he could feed his troops along the way. He had with him an army (of maybe 40-50,000 all together) that was completely loyal to their commander and who believed in him and his abilities. People often ask why he didn’t invade Italy by sea. The sea route was not an option for Hannibal, as the Romans controlled all the ports and access to the sea from Sicily up to the city of Marseille. He could never have made it safely across. Another frequently asked question is how we know how many animals and soldiers Hannibal had with him. Where do the numbers we discuss in the program come from? The Greek historian Polybius claims that his numbers come from Hannibal himself, that Hannibal wrote the story of his adventure many years later on a bronze pillar and there he inscribed his deeds. Polybius claims that he had seen the monument, which was dedicated at the Temple of Juno at Crotona – near modern day Locri, Italy. When Hannibal’s force appeared on the other side of the Alps in Northern Italy, it is claimed that just 26,000 men survived the march (and we don’t know how many elephants, but at least some survived the crossing and then most died the following winter). He must have judged the losses he suffered along the way to have been worth it. The impact he made on the people living in Italy and across the Mediterranean was enormous. By crossing the Alps with his army, Hannibal had achieved the unachievable. And the crossing was, to the people of the time, the feat of a supernatural hero – a god, not a human. 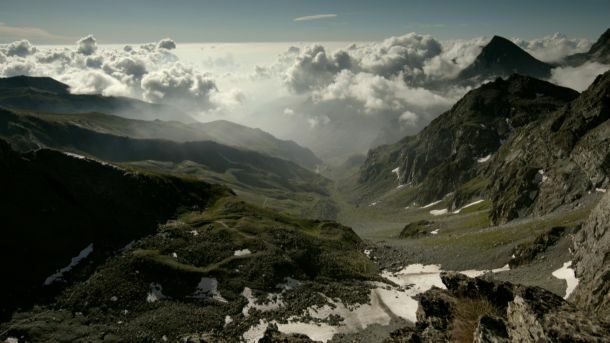 By crossing the Alps, Hannibal was following in the footsteps of the gods and connecting himself to the great hero Melqart (or Hercules). Tales of Hercules were popular in all the regions he crossed. The popular mythology of the tenth labour of Hercules had him driving the cattle of Geryon who lived at the end of the world (actually the Atlantic coast of Spain near Cadiz). The hero took the cattle and drove them all the way from the Atlantic and across the Alps. And all the way through this part of the world Herakles was a hero the local populations connected to. If you look at a map the route is very similar to the one that Hannibal took. So Hannibal’s crossing of the Alps was an epic feat of a hero and by accomplishing it, he wrote himself into history, he too became heroic – which is partially why we are still talking about him today.